It seems that each and every year more and more putters come to market. Each one claiming to produce the “truer roll” than the rest. 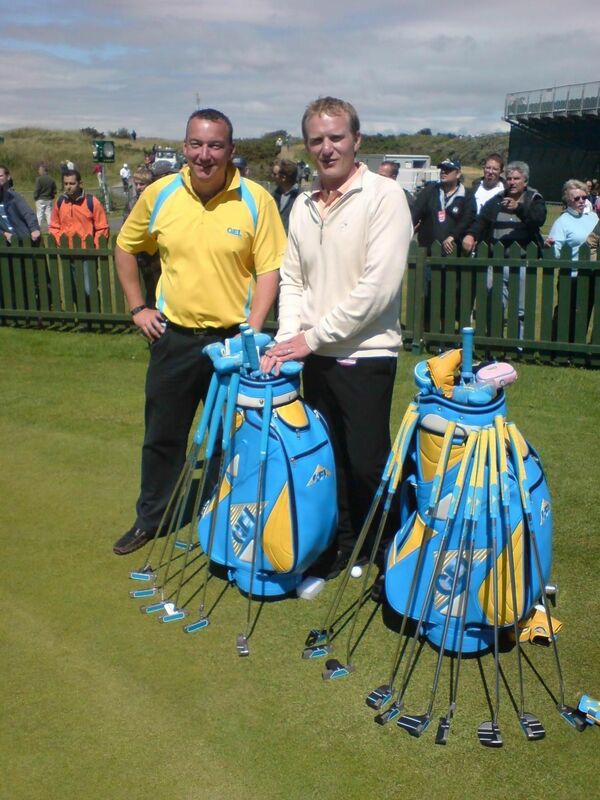 Groove Equipment Limited (GEL) debuted at the 2007 PGA Show in Orlando, FL to rave reviews. Former CEO of Yes! Golf Asia Alec Pettigrew launched the company and unveiled studies that indicate this line could be the best performing line of putters on the market. 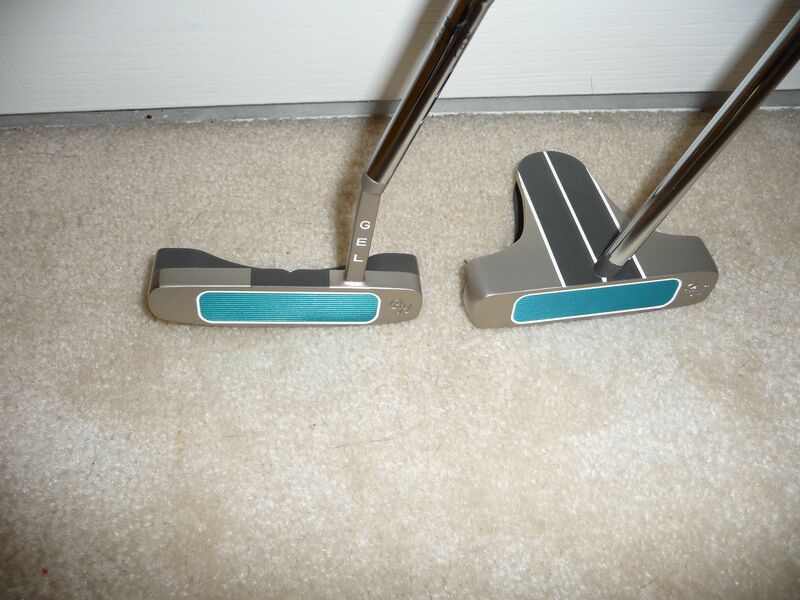 Unlike industry counterparts, GEL putters feature grooves milled onto a much softer aluminum insert. The result is a putter that starts the ball rolling faster, straighter, and offers the best feel. 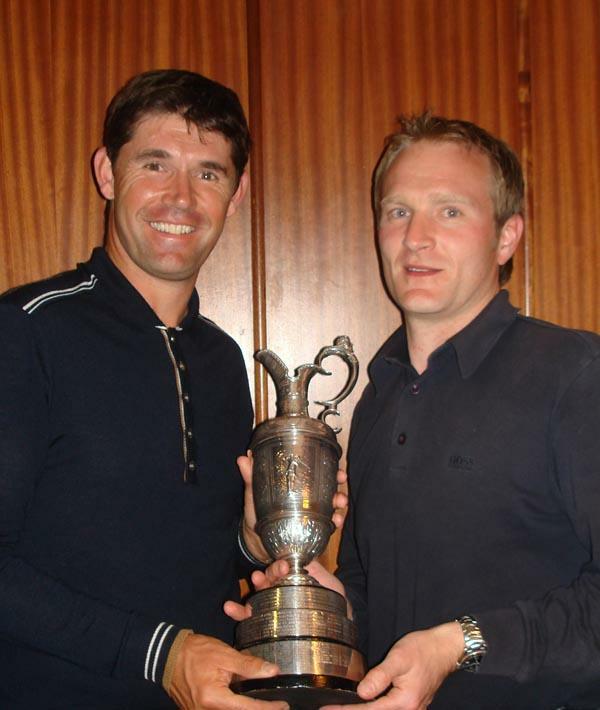 Just a year after launching into the golf market, GEL has invested further in the development of a new range in cooperation with biomechanic and golfing guru Dr. Paul Hurrion. 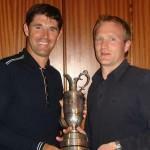 His expertise in the art of putting has seen him work with players like Padraig Harrington and Lee Westwood. Harrington personally thanked Dr. Hurrion during his Open acceptance speech. With all of the hype over the last year about these putters, there was no question that THP had to reach out and see about getting a few to try. So after making the call we patiently wait for some to try and after a couple of weeks they arrived at our office doorstep packaged up nicely. 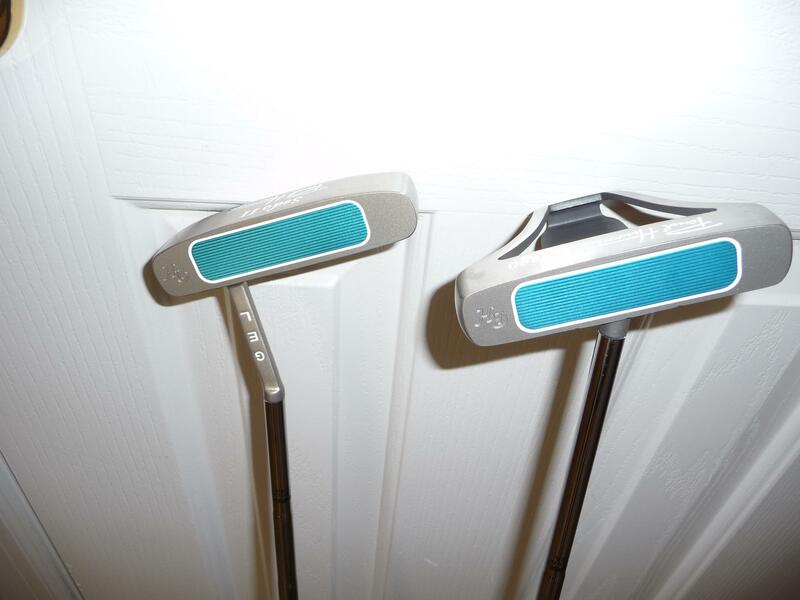 After unpackaging we noticed that we received two putters to try. We received the REGO and the SEDO II. Both of which come from the Dr. Hurrion line. 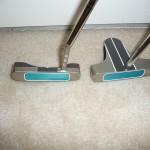 GEL also still has its original putters for sale as well. The originals have an MSRP of $159.95 and the Hurrion line has an MSRP of $295.95. I will note that I really would have preferred them sending both lines to test, however it seems the originals have reviews all over the place. So in this one, we will stick to their high line. Once unpackaged, we noticed that these are very bright loud colors. 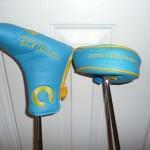 Light Blue and Yellow would be the colors and the headcovers match the grip of the club. If you like loud and colorful gear, then these are for you. As many THP readers know, the loud golf stuff is right up my alley, although these colors in particular weren’t really for me. 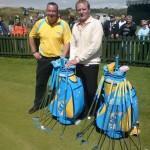 Most of the people on the putting green with me the first day really enjoyed the colors of the clubs. Once the headcovers are off and you put the brightness behind you, the technology shows up. 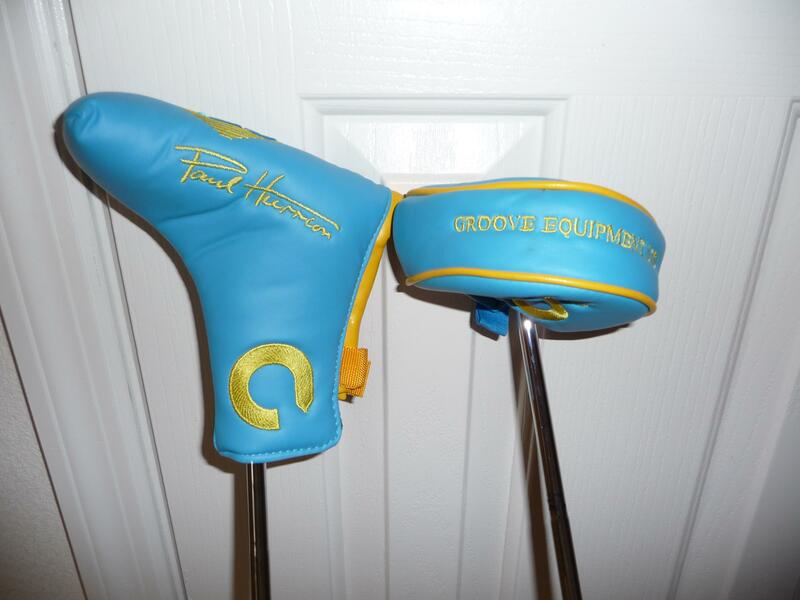 These are beautifully crafted putters to say the least. The insert is in a nice light blue shade and the alignment aids on the top are well done. The putters themselves have some weight to them, so if you like anything heavy, this might be your answer. There are quite a few companies producing grooved insert putters right now and THP has tried most of them. Companies like Yes!, Rife, and now GEL all claim to be the putter with the purest roll. To me, the technology is there for sure, but as most know we are more about real life testing rather than simulation. So off the course we went. With us we had a Scotty Cameron Red X, Odyssey White Hot #7, Rife Hybrid Putter, Ping Redwood Series, and of course these GEL putters. The first thing I noticed about the putters is that every single one of them was so different. And in my experience, it is all about comfort. But despite my ridiculous beliefs we got 10 people together to do putting drills for 10 minutes each with each putter, including yours truly. Most of the 10 had never used a grooved putter before and had no idea what to expect. THP readers have come to expect truth and honesty in our reviews. 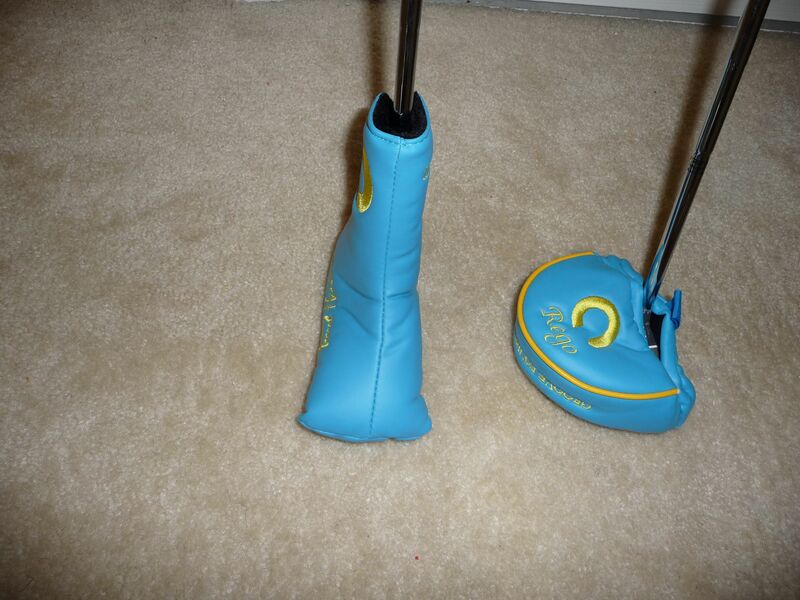 I could NOT putt with either one of these putters. They finished dead last in my personal drills. But I am using a soft insert that is quite light. So I am the wrong person to be testing these anyway. 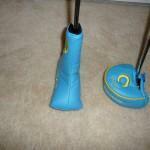 I could not judge speed to save my life with the GEL Putters. I was the only one however that had this problem. 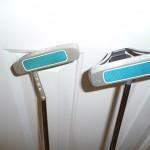 In fact the Grooved Putters finished 1, 2, and 3 out of all putters tested in the review. From 10, 15, 20, & 30 feet, the grooved putters finished an average of 1.9 feet closer to anything else. It goes to show you what I know, because my Odyssey finished dead last. (except in my case). The Sedo II was first by a wide margin followed by the Rife and then the Gel Rego which were less than 1 inch apart. So maybe there is some truth to the science after all. After the putting session with everyone else I sat and worked with the putter and came to enjoy the groove technology and the truer roll it clearly provides. Will it replace my putter? No it will not. But I assure you that most of the others testing with us have found a new appreciation for them and the technology behind them. Like we mentioned earlier, they have a model for just about everyone. Based on my own views I think that anybody struggling with their putting should definately give the GEL putter a try. To learn more about GEL putters, groove technology, or find a retailer that carries them near you, check them out at GEL Golf. I am so satisfied with my current putter that I can’t see replacing it either. I’ve never tried the GEL putter yet but when it comes time that my putter is not doing the job I hired it for, I will. Sounds like it’s not a bad putter. How neat that you were able to do a head-to-head comparison. That makes the results much more valuable. This will be a neat putter to test (and it pretty much goes with my carry bag, too). I really want one of these. I have been looking at both the Rife and these and just cannot make up my mind. I cant hit an insert putter. I always send the ball way past the hole. I have one of the originals from GEL. I really like it. I have to say, this is the best putter I have ever used and it feels like I have used them all. If you are in the market for a new putter and/or not playing well with yours, this is worth a look. This putter just instills confidence when putting from longer distances and is lights out from short.